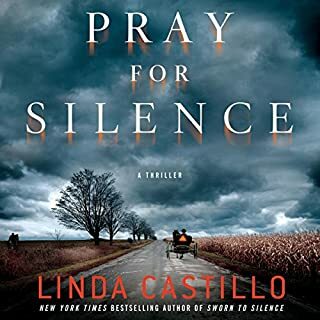 New York Times best-selling author Linda Castillo delivers an electrifying thriller in which Chief of Police Kate Burkholder must confront a dark evil to solve the mysterious murders of an entire Amish family. The Plank family moved from Lancaster, Pennsylvania, to join the small Amish community of Painters Mill less than a year ago and seemed the model of the Plain Life—until on a cold October night, the entire family of seven was found slaughtered on their farm. This could have been a short story it was padded with a lot of boring boring self talk, perhaps the sheriff should try a new career. The story line had lots of gaps that didn't make sense and it was weak, the fact it was based around the Amish could have been interesting but it didn't hit the make. Too many mysteries now have the tortured main character reflecting on their past rather than on the mystery. Violet and Finn were "meant to be", said everyone, always. They ended up together by the hands of fate aligning things just so. 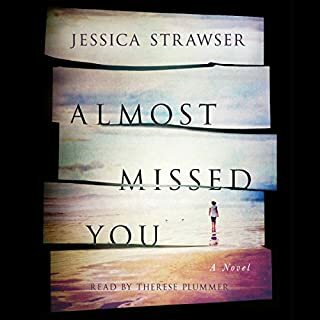 Three years into their marriage, they have a wonderful little boy, and as the three of them embark on their first vacation as a family, Violet can't help thinking that she can't believe her luck. Life is good. So no one is more surprised than she when Finn leaves her at the beach - just packs up the hotel room and disappears. And takes their son with him. By half way in I started to fast forward, the narrator is excellent but the story is far too long. A weak story with a bad plot, it just went on and on. Samantha Eggar's voice is too old for a young Lucy. I wouldn't recommend this book it was okay but the ending was lame. There were also loose ends and facts that went nowhere. Having read the reviews I thought the story would be really interested with a twist. I found instead a boring story that just went on and on. The murder mystery is weak with a pathetic ending. Don’t bother with this book. I purchased the book, as I wanted some light reading, I almost gave up quarter of the way but as I had nothing else to listen to I kept going. So glad I did, the story is light with some funny episodes and I’m totalling surprised that in the end I enjoyed listening to the story. Great narration by Sue Pitcan, she knows how to tell a story. Young girls are disappearing around the country, and there is nothing to connect them to one another. Dr Tony Hill sets his team an exercise: they are given the details and asked to discover links between the cases. Only one officer comes up with a theory that is ridiculed….until one of their own is murdered. 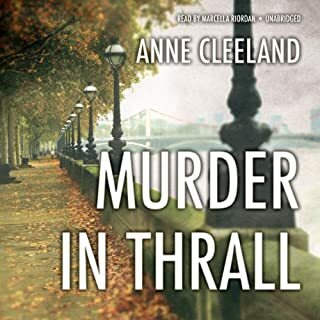 For Tony Hill, the murder becomes a matter for personal revenge and joined by colleague Carol Jordan, he embarks a game where hunter and hunted can all too easily be reversed. 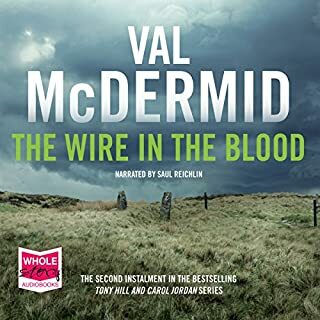 What drew me to listening to an audio of Wire in the Blood was my love of the TV series starring Robson Green. I recently read one of Val Dermid’s books, which made me want to download more in the series. 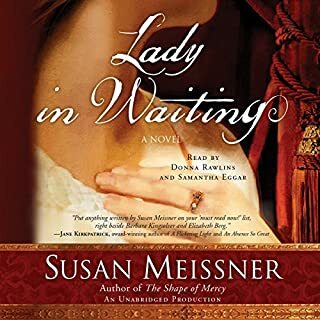 I hated the narrator and it took me some time to focus on the story, Saul Reichlin voice is too old and perhaps a little like he is doing a stage play; his female voices are meek and irritating. 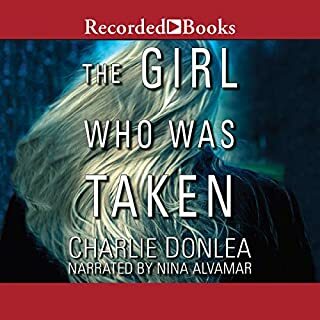 The story line in the beginning is a little too detailed however builds so you don't want to stop listening, however both in this book and the one I read it in somewhat fizzles out. However on saying that worth a listen and I will be listening to more in the series, unfortunately they appear to all be narrated by Saul Reichlin. 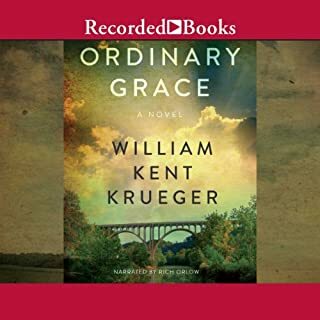 I had listend to one other book of William Krueger which I thought was really ordinary, based on reviews of Ordinary Grace I decided to download it. I was not disappointed it was a coming of age story but not over sentimental, did remind a little of Stephen King's "stand by me". The characters are likeable and the story was brilliantly told by Rich Orlow, a good narrator can make of break a story. Would highly recommend Ordinary Grace, be warned you will cry. Since the violent deaths of his wife, father, and best friend all occurred in previous Novembers, Cork O'Connor has always considered it to be the cruelest of months. Yet his daughter has chosen this dismal time of year in which to marry, and Cork is understandably uneasy. His concern comes to a head when a man camping in Minnesota's Boundary Waters Canoe Area Wilderness goes missing. As the official search ends with no recovery in sight, Cork is asked by the man's family to stay on the case. 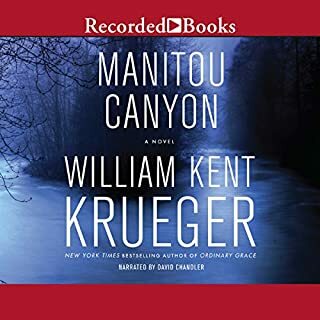 This is the first Willian Krueger Book I have listened to the story line was really off the mark, full of holes and the narration was ordinary. David Chandler's women's voices were almost laughable. I listened to the story based on reviews, reading further other reviewers have suggested to try listening to Krueger's other books which I will do, hopefully not all are narrated by David Chandler. 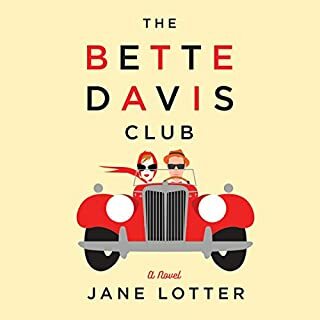 I really enjoyed listening to this book the narrator was particular good. 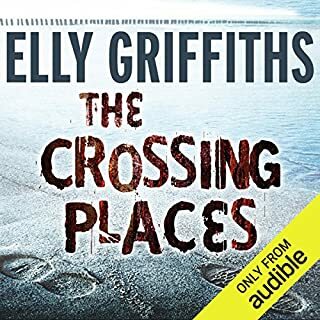 Didn't necessarily find it spooky but could easily picture the scenery as Elly Griffiths is a good story teller and doesn't do endless pages of unnecessary dialogue. Did however pick the murderer midway but the story held my attention to the end. Have now downloading the second book in the series and looking forward to listening to this story.